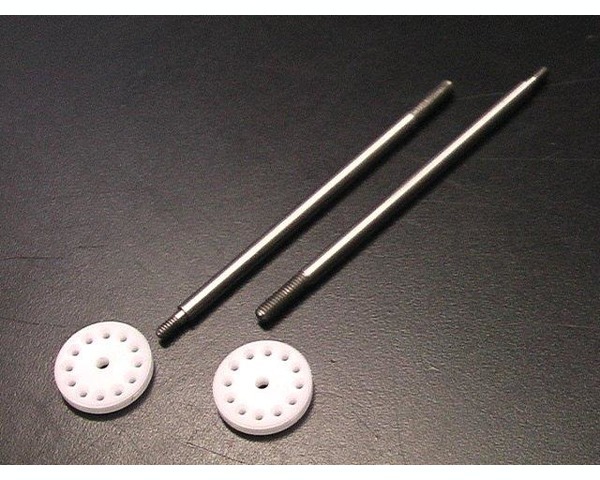 This is a jet vent machine Delrin piston with titanium shaft assembly for the Losi LST shocks. This Assembly allows the shock piston to have a jet vent oil flow for better damper characteristics. White Teflon Machined jet vent Pistons. You get two shafts and two pistons. Order two sets to complete one truck.